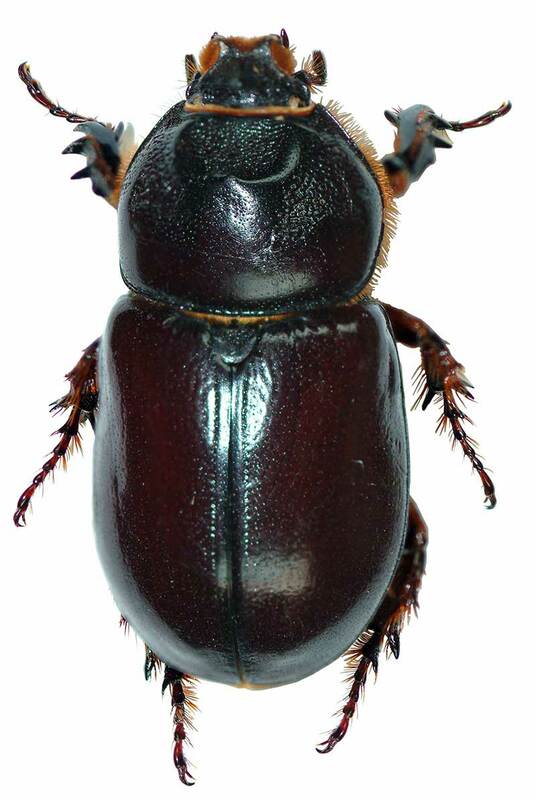 Insect follows Scarabaeidae family, and Coleoptera order. Size is between 35-40 mm, and has glossy black colour. It is considered a pest of palm trees, as larvas dig long tutas in palm leaves and clusters, so they fall.